This is one of the most underappreciated spots in someone’s home. With proper design and building, a doorway can give additional storage space. 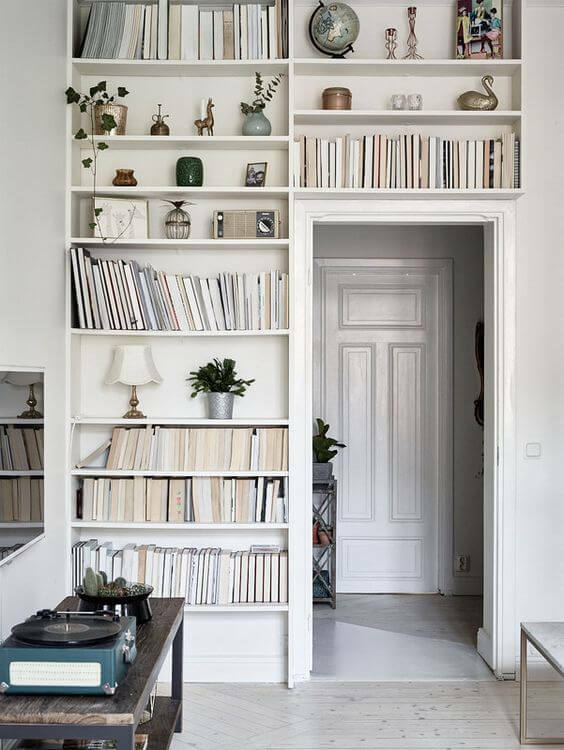 Create a number of shelving units around and above the doorway, enough to cater your books and mementoes. Superdraft tip: Make the height of one shelving unit different from another. This will make the doorway shelves less boring like a traditional library shelf. 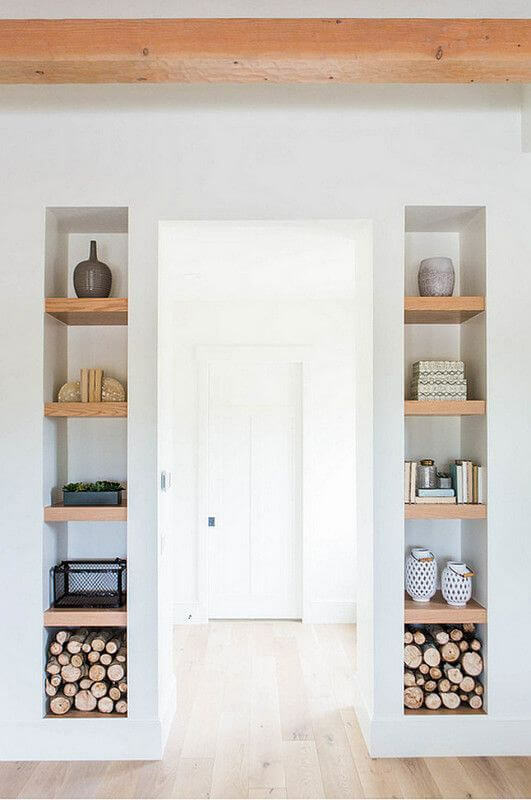 If you’re not planning to display a lot of items, a minimal wall shelf like this can do the trick. This time, make the shelf measurements equal and large enough to store different items. Superdraft tip: It’s okay not to display the exact same item on the other side. Aim for balance and you will be alright. 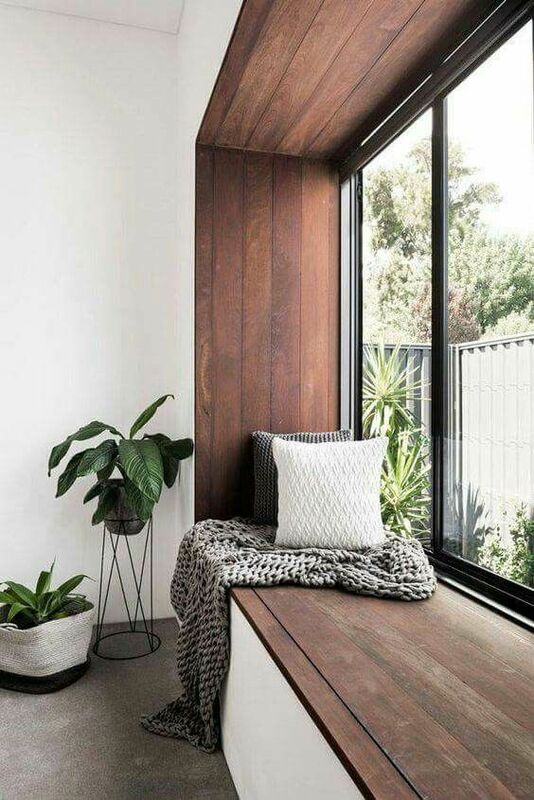 We are fans of making the window recess wider so you can put potted plants in there. You can also use it as a table or armrest whenever you stand next to the window. 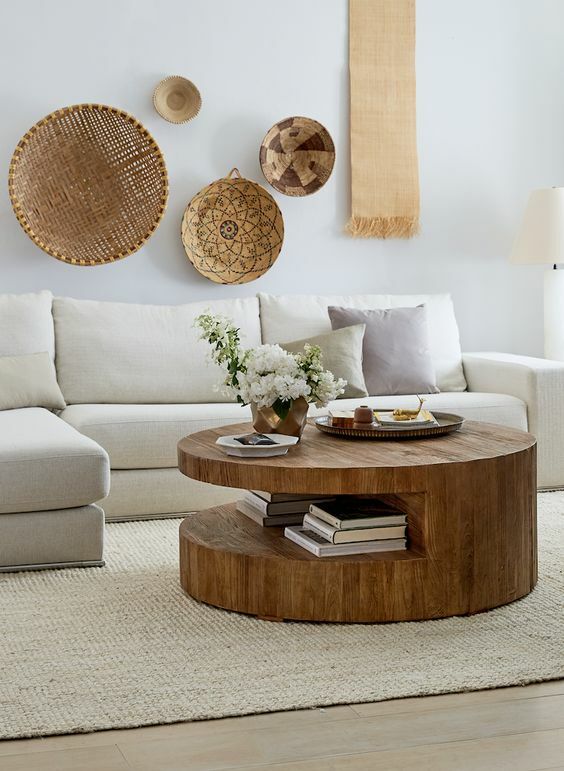 via Donna Dotan Photography Inc.
Superdraft tip: In long and narrow living rooms like the one shown above, a side table is a smarter option compared to a coffee table in the centre of the room. 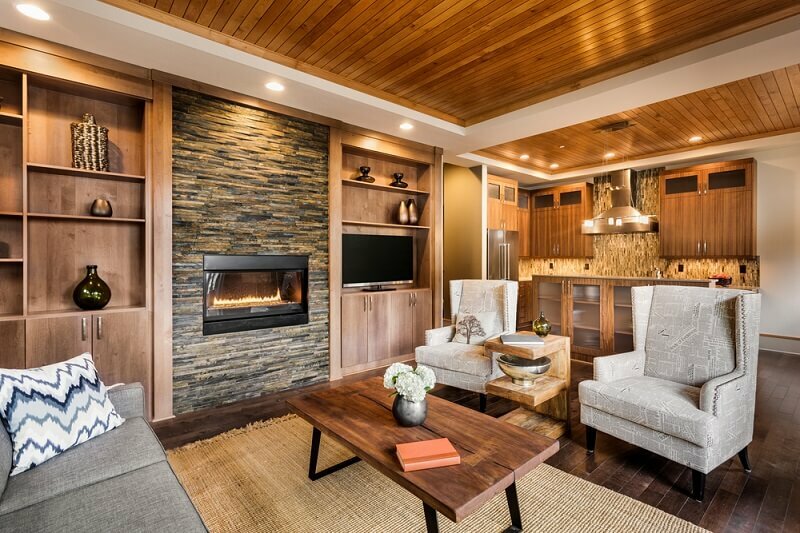 breaking free from the traditional living room layout will make your place spacious. Using an ottoman is not bad, just make sure that it doesn’t fully block the foot traffic. You can also use wooden planks to frame the wide window recess. Decorate it with pillows and fabrics to instantly transform it into a private nook. Snug in this cozy corner while sipping your cup of coffee or tea. Superdraft tip: This is great especially when the window is view-rich. Are you getting a view of your backyard? Make it green and lush. 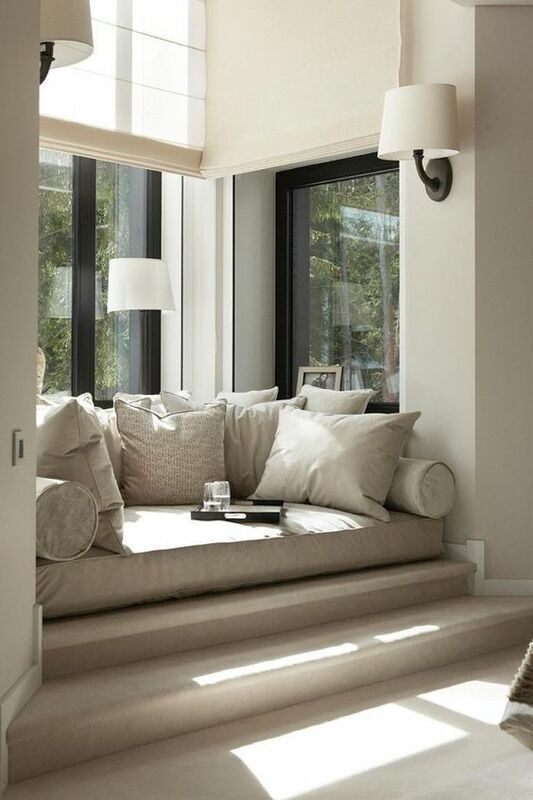 Fill in the bay window with a built-in seating. It’s the smartest way to get additional room and storage in a small living room. Satisfied with the number of shelves and drawers in your home already? Fit a couch in the space. Make it cosy using fluffy pillows. Blend the seat with the walls around it. You can also create a lovely seating are made of two chairs and a small coffee table. 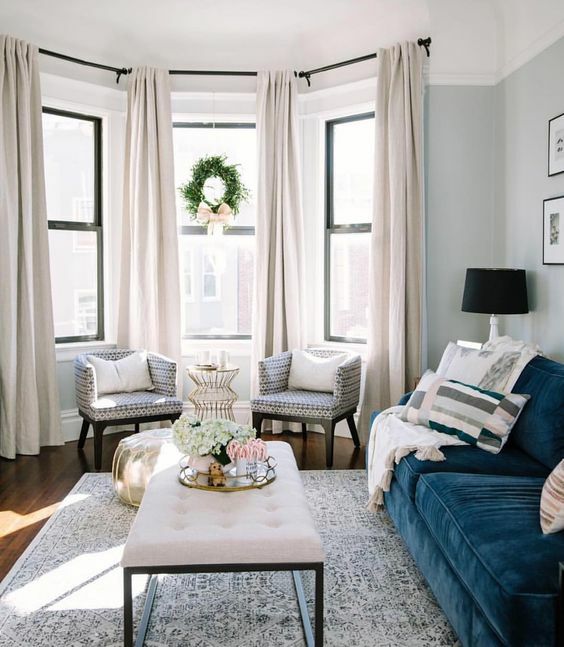 Arrange it in a manner that follows the shape of the bay windows. The two chairs must face towards the centre of the room, not to each other. This way, it becomes an intimate seating area within a social living room. 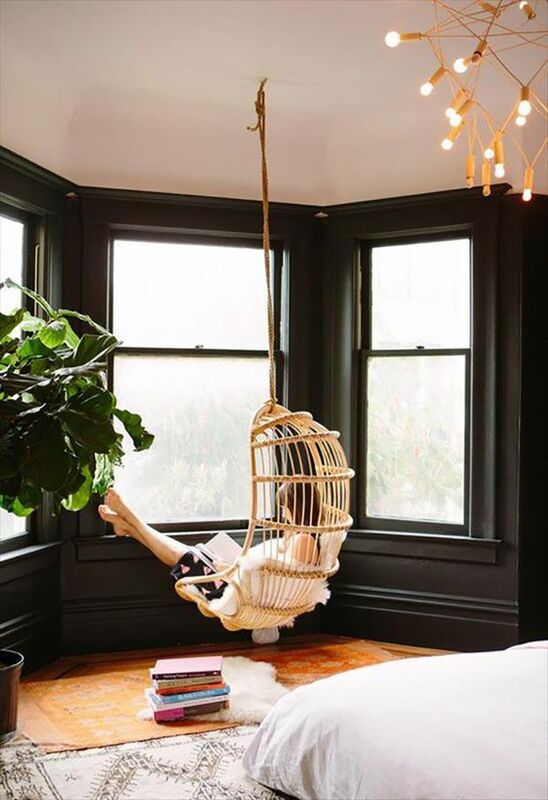 If all the above bay window solutions are too traditional for your taste, try hanging a rattan egg chair beside the bay windows. 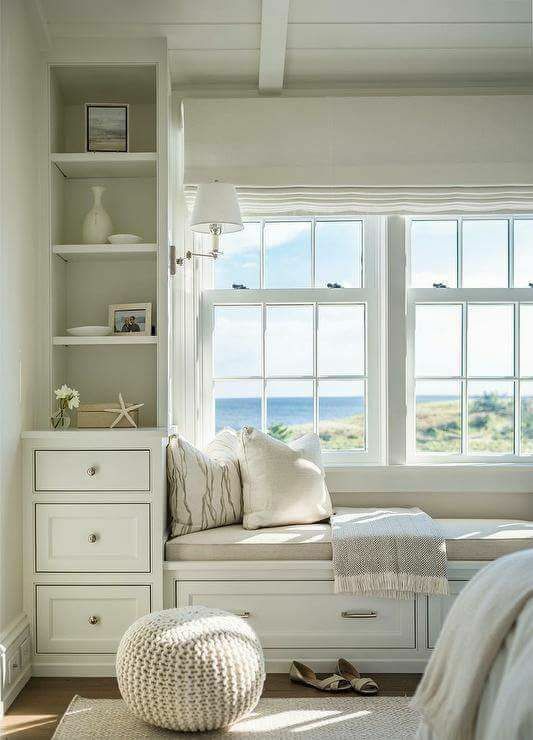 Let it be your little reading nook in a small living room. One piece of furniture which takes a lot of floor space is the bookshelf. Most people who live in small apartments and condominium units always feel like giving this up to make room for more important furniture. Well, you don’t have to anymore. Take advantage of your living room’s vertical space with this thin wall shelf. Place it near your couch or your reading nook. You can also hide it behind your front door. 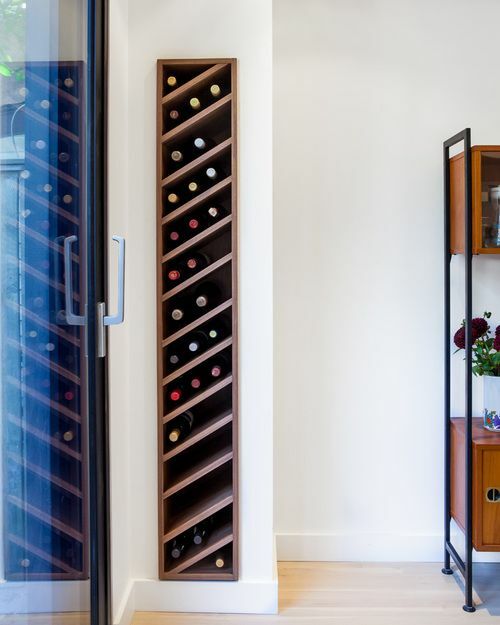 Aside from bookshelves, you can create vertical storages for numerous interior features such as this wine rack. You can easily pop a bottle in the living room, where your guests are waiting. 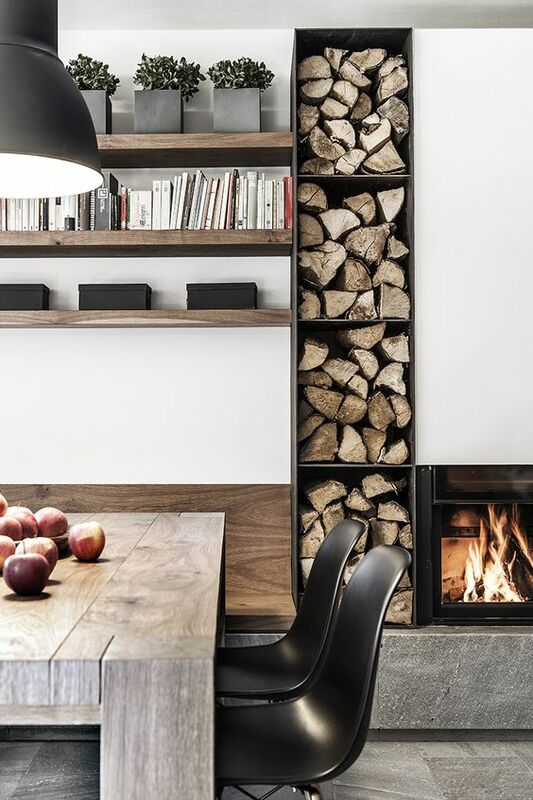 This vertical storage concept is also applicable to this firewood storage. The designers placed it in the nearest possible spot near the fireplace for easy access. 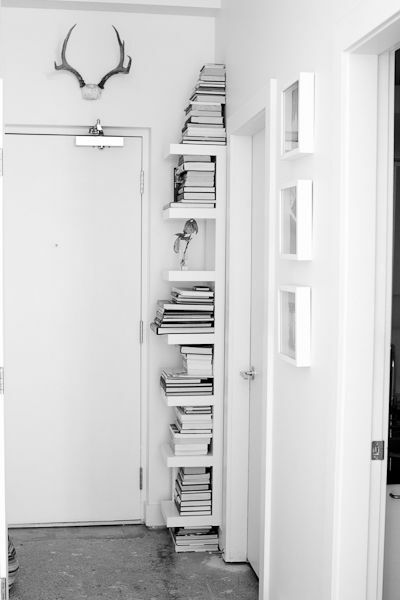 Another clever storage idea is to build shelving units in your home’s slim alcoves. I’m talking about the areas beside the fireplace, where it’s impossible to place full-sized cabinets in the furniture shops. Most homeowners need to customize cabinets to fit this narrow area. 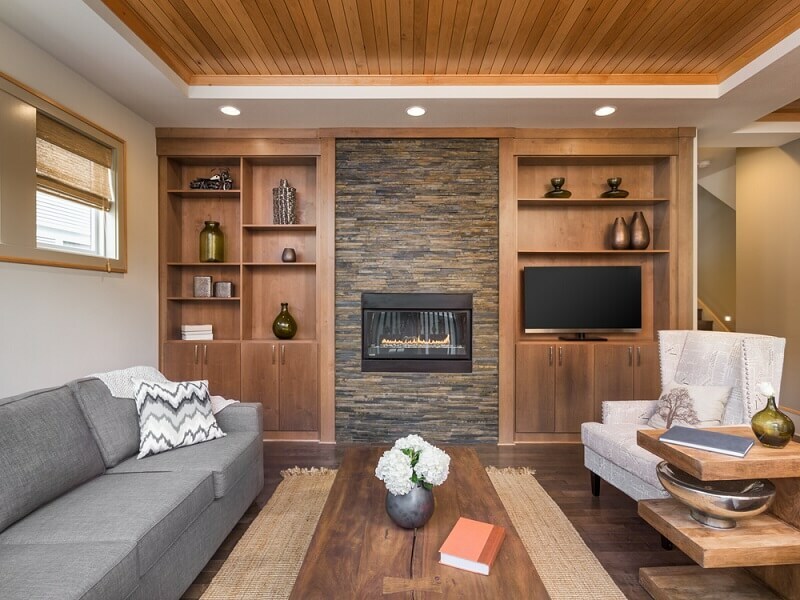 In the featured design below, the designer created slim alcove shelves that hug the fireplace and blend with the rest of the home interior. 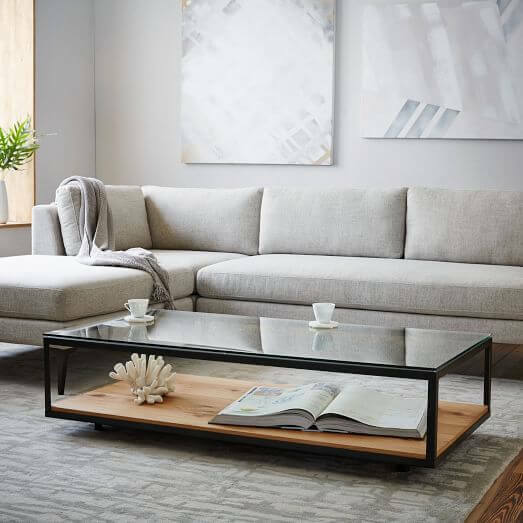 Or this coffee table with a lid that rises up to your lap. Bonus: you can hide some of your stuff inside! After something simple? 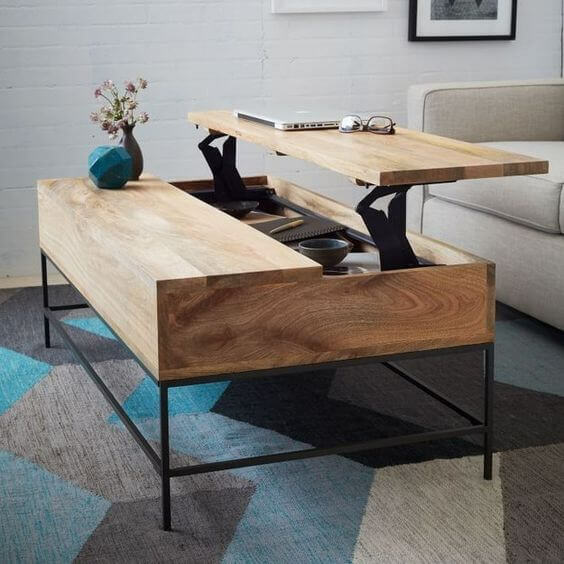 Go for a glass centre table with storage under it. This style will surely fit most homes. 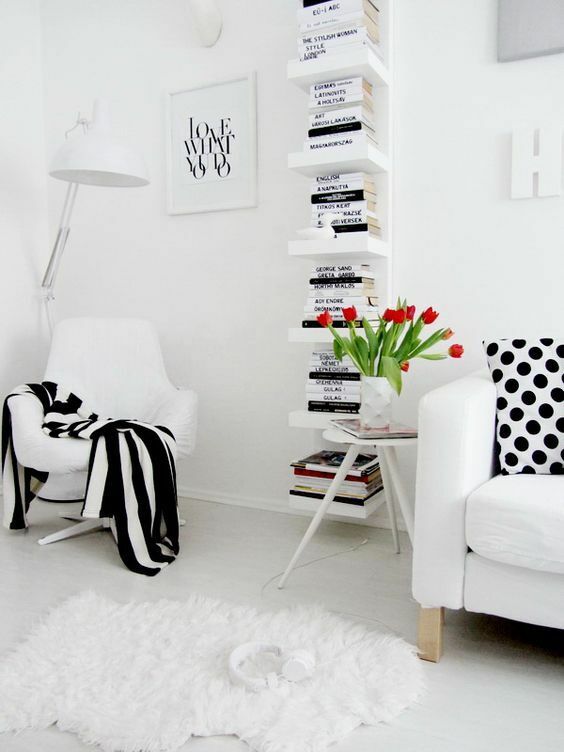 With a little creativity, you can include a small study in your living area. The designer of the living room below placed the work table and chair next to the window, allowing natural light in place you work. 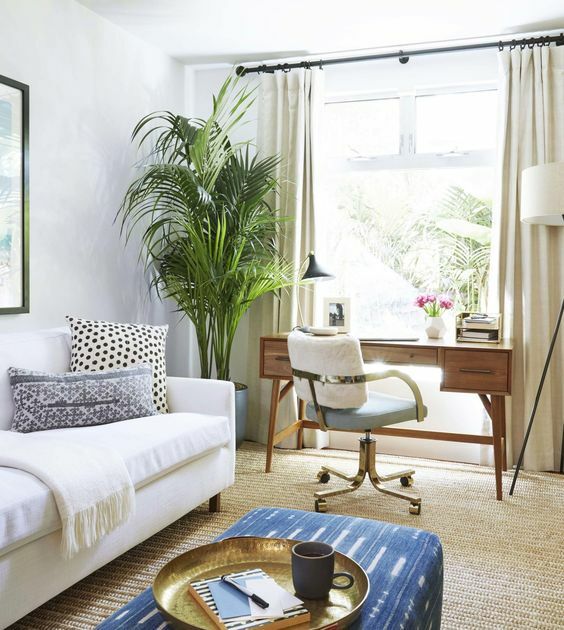 These easy living room ideas are best done with proper planning. What about you? What did you do to maximize the space in your small home?